PowerPoint to Image Converter 3000 is a professional and powerful PowerPoint document to image file converter. With it, you can free batch convert your ppt,pptx,pptm format files to any type of images like jpg,jpeg,tif,gif,bmp,tga,png,rle,wmf,emf etc with ease. The output image quality is super high with preserving the original text, tables, image, layout of your PowerPoint document. More, the processing speed is very fast. User-friendly interface is very easy to use without any learning curve. Merely a few clicks can finish the conversion. Simultaneously convert massive different format files to one certain format once. Convert one multi-page PPT to one multi-page TIFF. Convert one multi-page PPT to an animated cartoon GIF. Set the GIF play times, delay interval, transparent color etc. Adjust the JPG, JPEG quality from 1-100. Set the output image size. 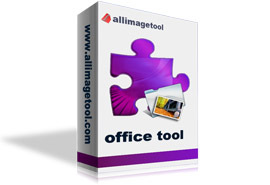 Support convert Pptx of Office 2007 to image.